Ah, Skottie Young. Nobody draws mischievous, cartoony little scamps quiet like you do. And in the farther reaches of the Marvel Universe, our resident little skamp is Rocket Raccoon. 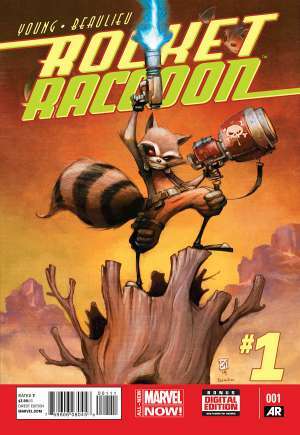 Skottie Young seems tailor made for Rocket Raccoon, setting a light-hearted, cartoony, fun tone for the series. This book has much of the same appeal as Young’s various adaptations of L. Frank Baum’s Oz books. He gets to draw various quirky, out-of-this-world characters in his trademark style, which is so much damn fun to look at. A portion of this book is set at a pro wrestling event, and Young hits us with an awesome onslaught of alien creatures, not to mention humans dressed in freaky get ups. It almost has a Mos Eisley Cantina feel, except it’s much more lively and colorful. Mind you, calling Young’s art “lively” is a hell of an understatement. His characters are so expressive in that exaggerated, cartoony way. This is true for almost everyone we see in Rocket Raccoon, but Rocket himself naturally give us our best example. 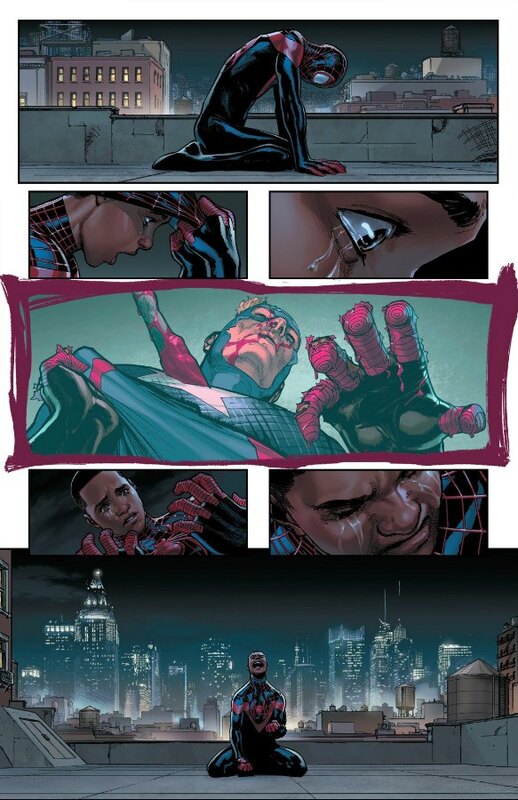 In this issue alone we see him run the emotional gauntlet. First he’s cocky and confident, then he’s riled up and excited, then he’s charming (in his own mind at least), after which we go to frightened, angry, discouraged, and then cocky and confident again. All this is evident not just through Rocket’s face, but his body language as well. Young is always quite adept at making his art silly and fun, but not so much that the tension in the story dissolves, and things simply become a farce. Young also gives us an iconic cover right out of the gate. Oddly enough, I just saw that image on a t-shirt the other day. The issue wasn’t even a week old, and it seems to already be paying dividends. 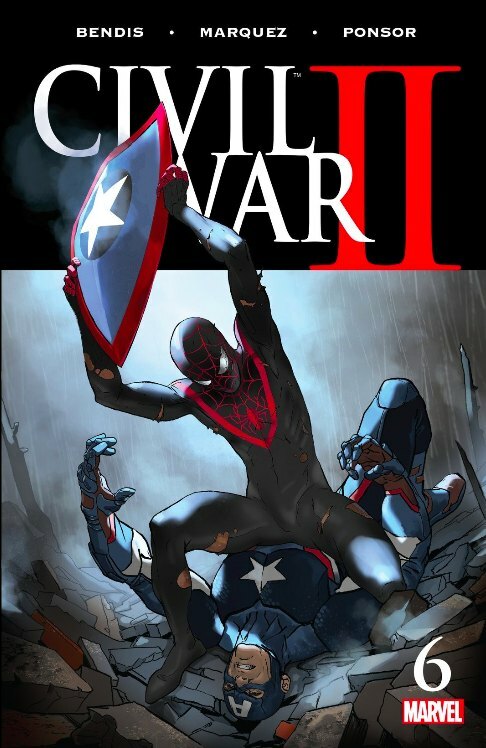 Sadly, the confines of a comic book cover don’t truly do the image justice. 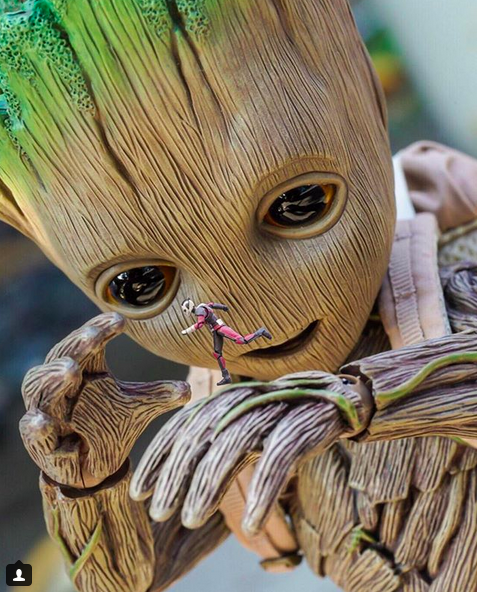 More casual fans may not realize that’s actually Groot that Rocket is standing on. Yes, Rocket’s in a nice pose. But to me, that contrast of the giant tree figure with the relatively pint-sized raccoon is what makes the image. 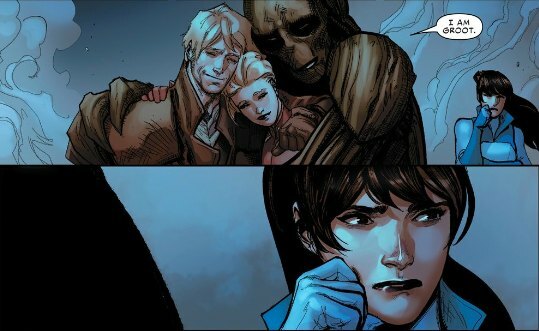 Certainly the timing of this first issue couldn’t be better, what with the Guardians of the Galaxy film coming in August. As someone who admittedly is fairly naive about Rocket, the Guardians, and that portion of the Marvel Universe, I can tell you Rocket Raccoon #1 makes for a hell of a hook. 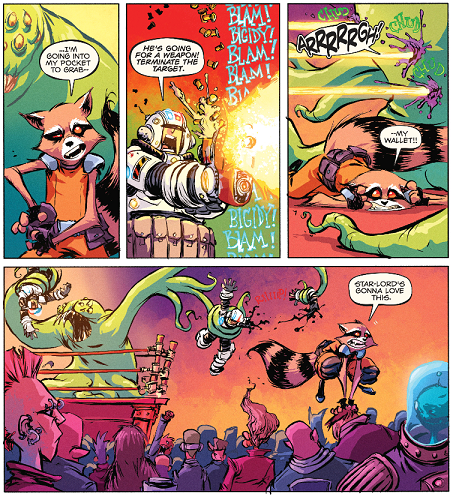 But the movie notwithstanding, Rocket Raccoon #1 is a must-read for anyone who likes a healthy does of fun and laughter with their sequential art. This entry was posted in Comic Books/Graphic Novels and tagged comic book reviews, comic books, Groot, Guardians of the Galaxy, Marvel, Rob Siebert, Rocket Raccoon, Rocket Raccoon #1 (2014), single issue reviews, Skottie Young on 05/02/2014 by primaryignition.